With you through thick and even thicker. 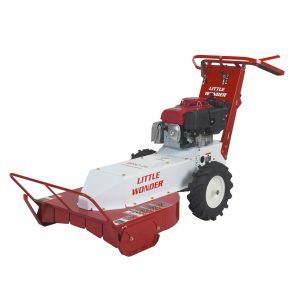 The Little Wonder Hydro Brush Cutter clears weeds, heavy brush and overgrown vegetation with ease. You’re in control with infinitely-variable, clutch-less speed selection and an ergonomic control system. Cut your own path at your own pace.